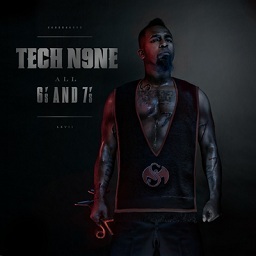 The blockbuster release of Tech N9ne’s All 6’s And 7’s is turning heads everywhere in hip hop. The online community is buzzing about the musically explosive album that manages to bring together names like Lil Wayne, T-Pain, Snoop Dogg, and Busta Rhymes. HipHopDX.com took on the task of rating the album, and it looks like All 6’s And 7’s passes the critique. Rating it a strong 4 out of 5, HipHopDX.com highlights Tech’s great use of lyricism on the album, something listeners may miss on the first take. His ability to mix so many different styles in such a short amount of time is remarkable, and HipHopDX.com definitely took notice. Fans’ comments are already beginning to build on the page, which only further indicates that Tech N9ne is well on his way to becoming the biggest thing in music.